Today was my fourth market stall at Rylstone Artisan Markets and I’m starting to feel like a regular. Given I started my knitting stall in early Summer, it’s given me time to get a feel prior to Winter approaching and I’m confident that I’ll hit my stride in the next few months. Each month I more than stock up on sold items, whilst always adding one new range. This month I’ve added Linen Stitch Scarves for which in the next month or two I’ll also put the pattern and kit together. 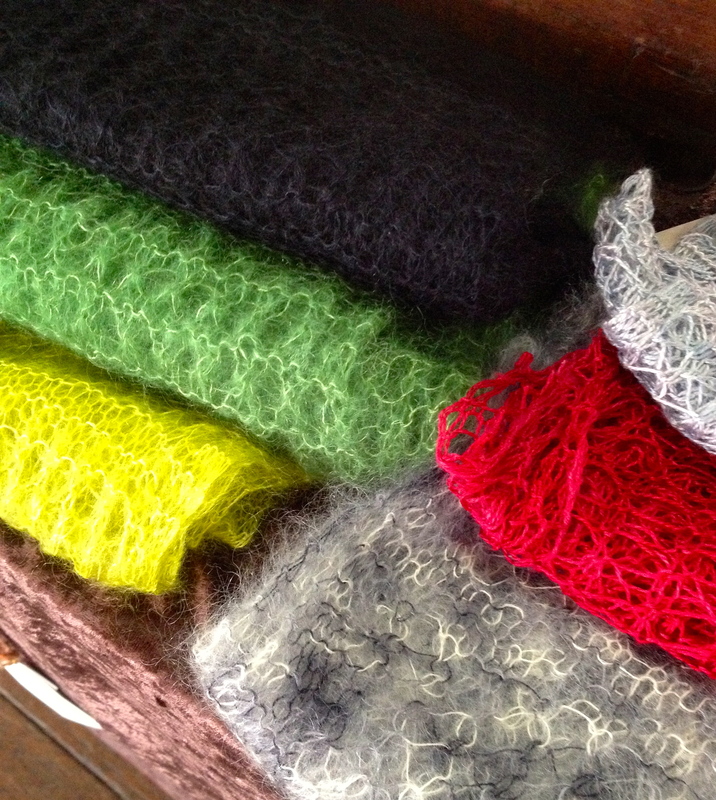 I’m also stocking up on Winter items, with the plan to incorporate locally grown and spun Alpaca. A bit of self promotion is on the cards, given the success at local Shows, with me displaying the ribbons at my stall. I know many of my purchases are gifts, so it provides a talking point for the giver. 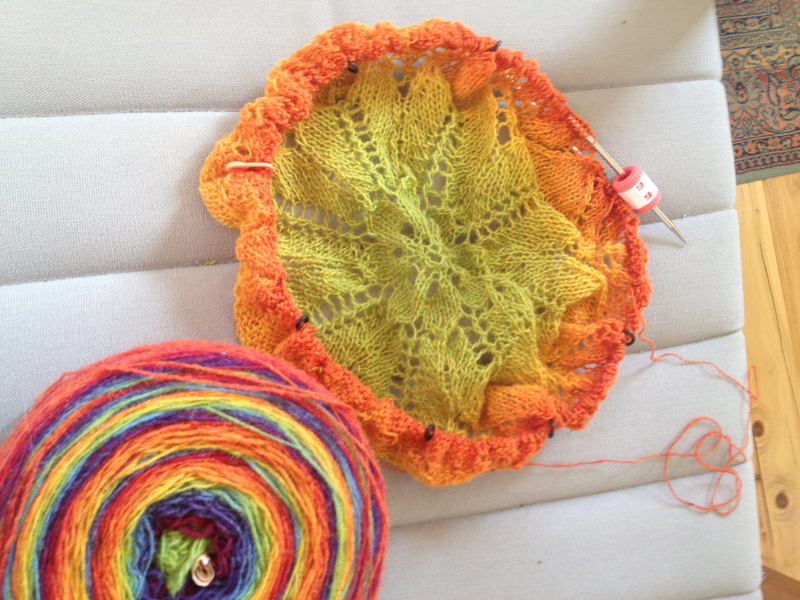 It’s also a great conversation-starter with other knitters. I’m meeting heaps of locals – knitters, crafters, farmers and chatterers, which is great given I’m still so new to the area. I also hope it provides a point of interest and an attraction to visitors to the area. The kits are also proving to be popular – both with knitters and as gifts, which is highly rewarding as I hope to inspire and encourage others to create something special with lovely yarns and textures. 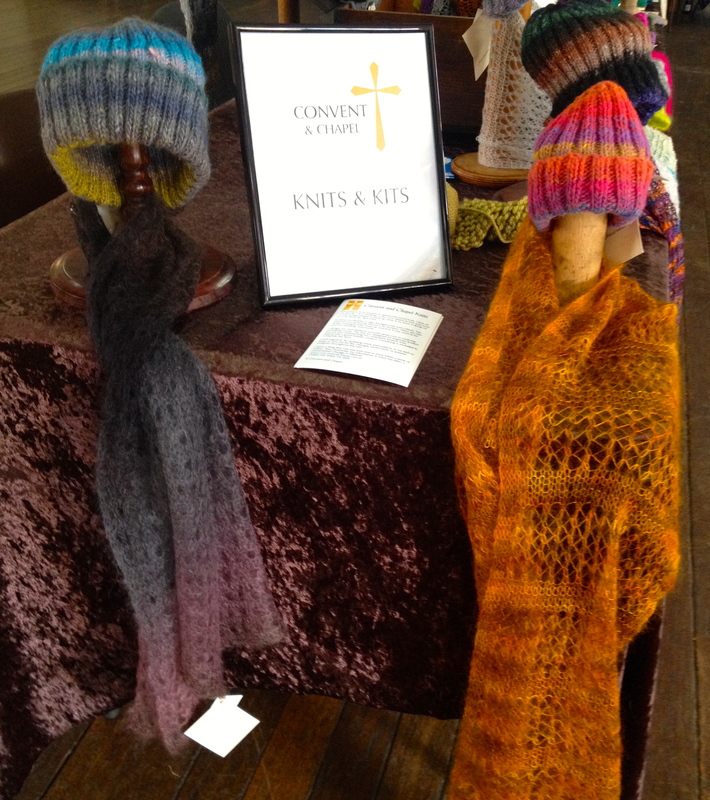 After this market, I’ll be moving more into Winter stock – mitts, beanies and scarves. I noticed the change this time as people were more interested in the mitts and beanies than the feather-weight lace scarves. 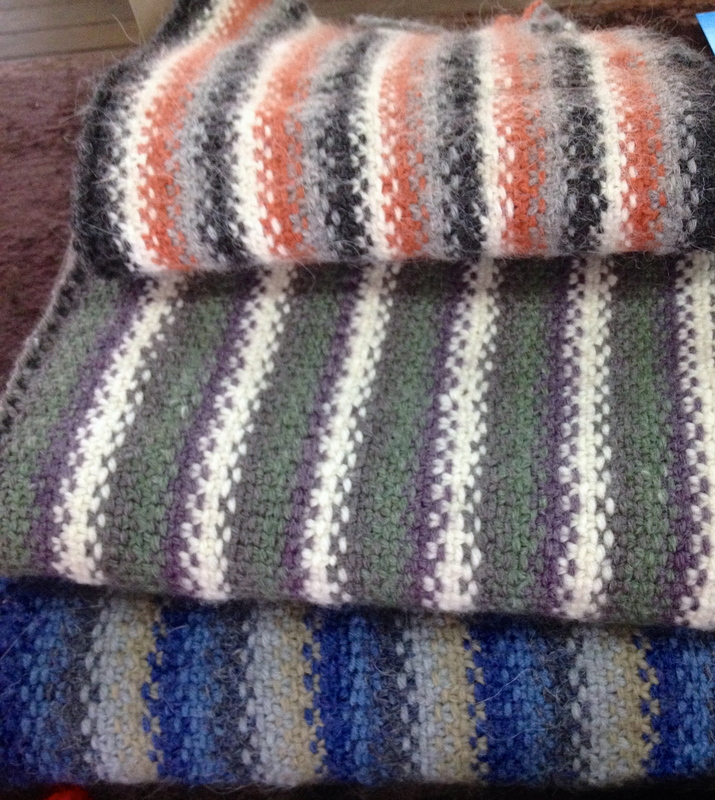 It’s also time to tackle a few more challenging knits which may at one point also go into some of the Shows. Whilst I knit the occasional garment, my preference remains epic lace shawls (in lace weight yarns) and pragmatic but textured blankets. These can provide quite a contrast which is reflected in two very different recent yarn orders – the reliable and cost-effective Bendigo Woollen Mills, and the seductive, luxurious and indulgent Sundara Yarn (silk lace, of course).